Back to the Future Day! 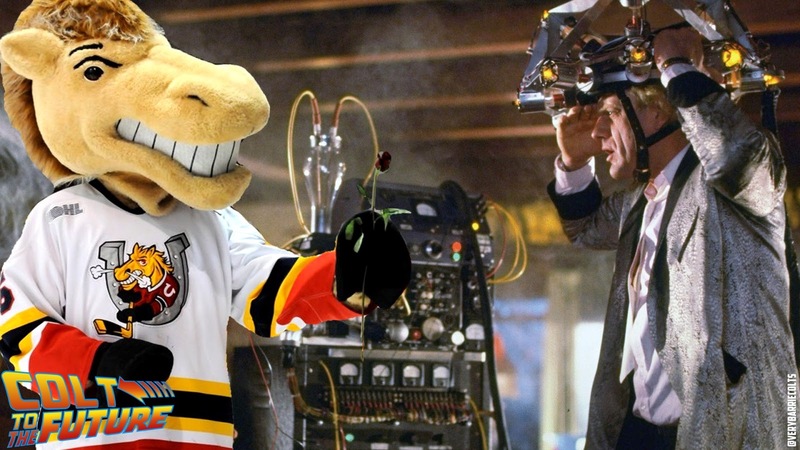 (Featuring Charlie Horse) #OHL - Very Barrie Colts | A website covering the Barrie Colts of the OHL. 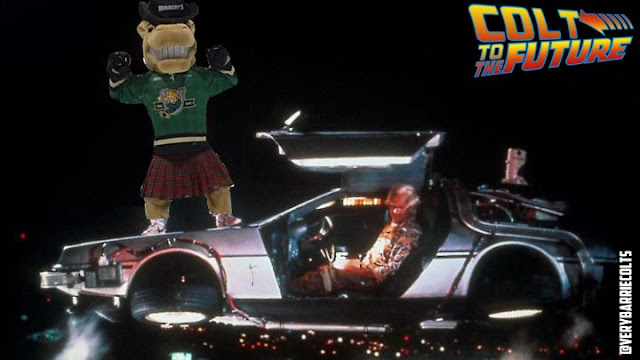 As many of you know today is Back to the Future day! You know.. 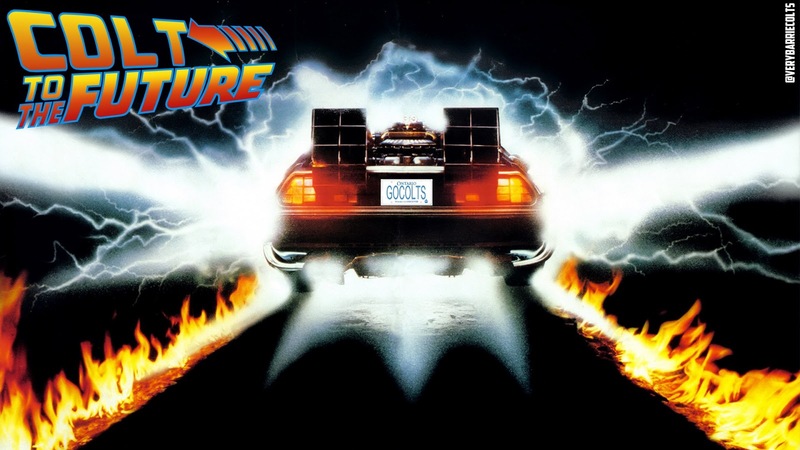 The movie about that day those guys went back to the future. 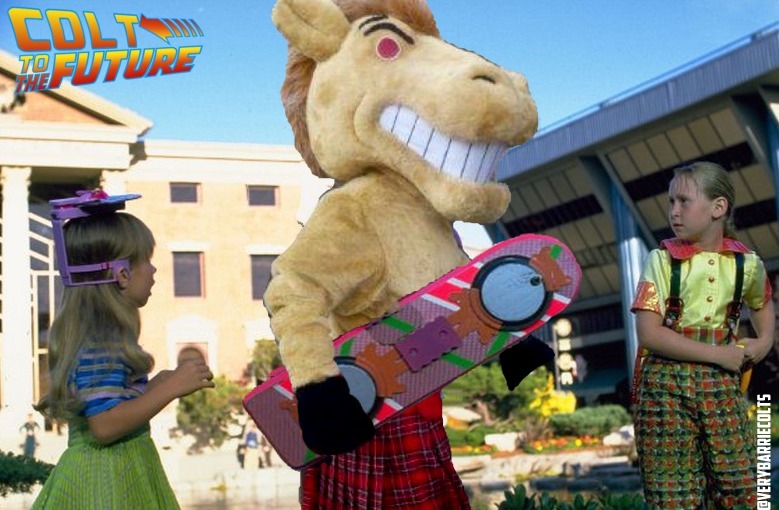 How do we plan on enjoying the day? 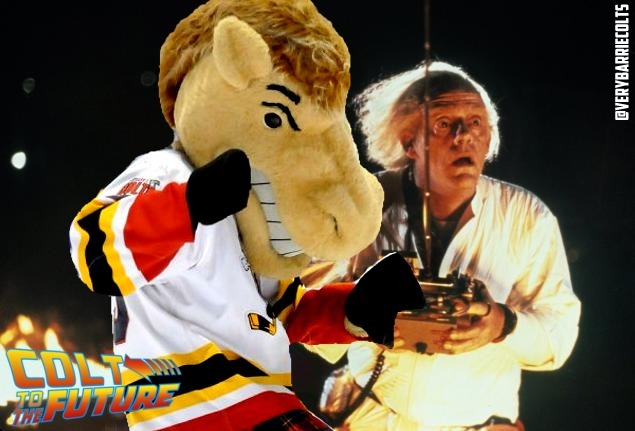 So before you go and re-watch these movies, here is what it would look like if the Barrie Colts mascot Charlie Horse went 'Back to the Future'.